If it’s one thing that Greeks take very seriously it’s their coffee, and at Kafé Passion in Thessaloniki, they make no exception. With over 50 years in the coffee making industry, Kafé Passion has without a doubt reached an expertise level in preparing exquisite coffee. 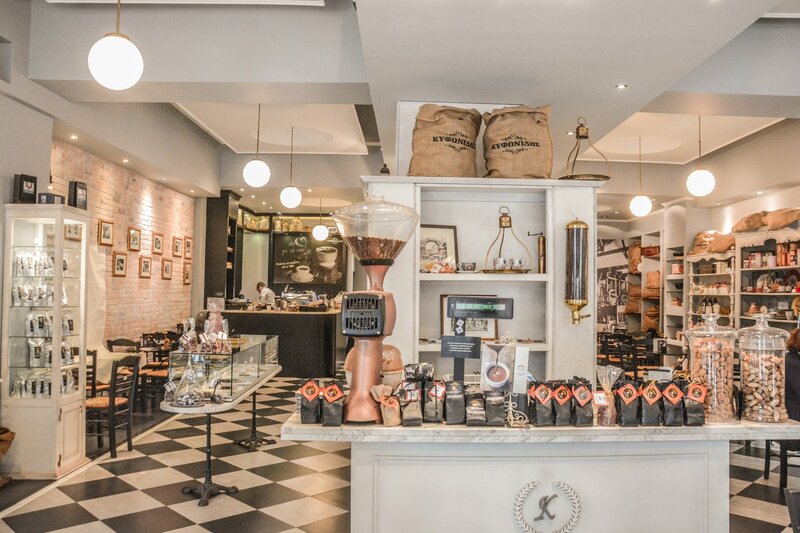 Today, Kafé Passion provides a welcoming and sophisticated atmosphere, where exceptional coffee of all varieties and origins is carefully crafted into what we call the “art of the barista”. 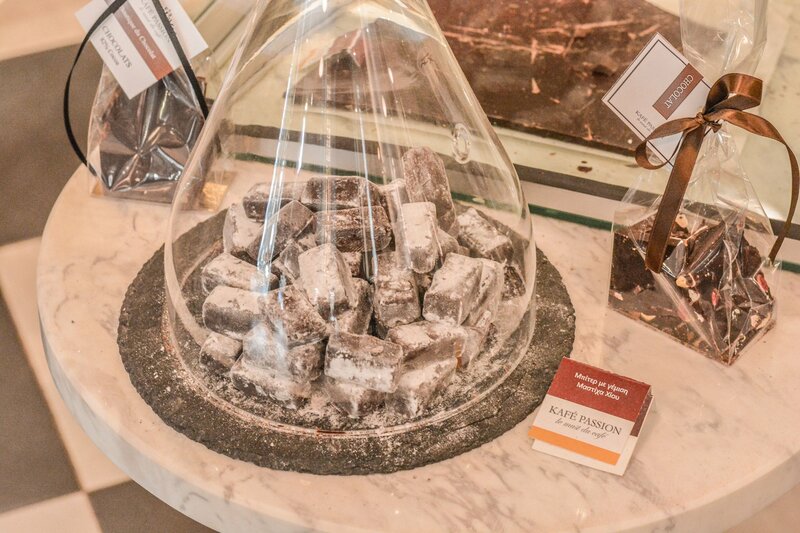 This family-run business began back in the mid-fifties where the founder of Kafé Passion, Panayiotis Kyfonidis, began looking for the “right” commodities to trade, from chocolate to cigarettes to the Greek treats, loukoumia; but none of these goods fulfilled him the way coffee did. From the day Kyfonidis sold his first sack of coffee till this day, his passion for roasting, packaging and selling coffee took off. 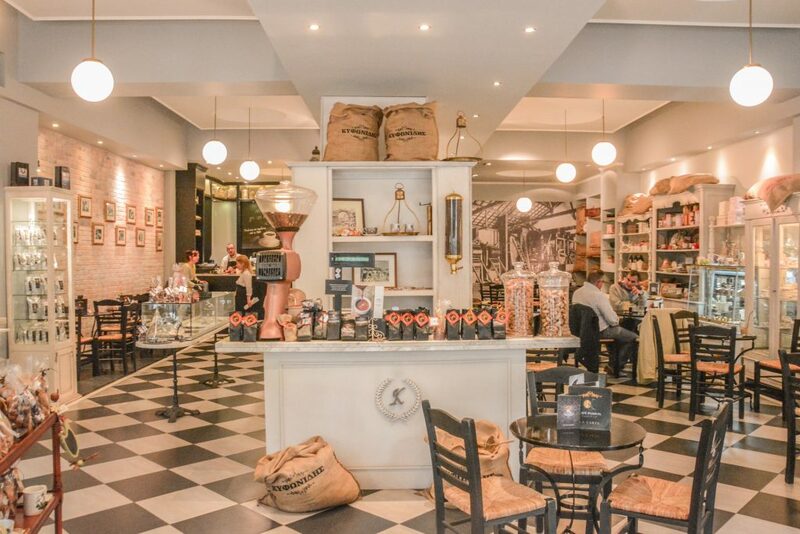 Soon after, “Kyfonide’s Coffee” is sold nation wide, followed by two brick and mortar stores by the name Kafé Passion, one located in downtown Thessaloniki and the other in Kalamaria, a neighborhood just fifteen minutes away from the city center. 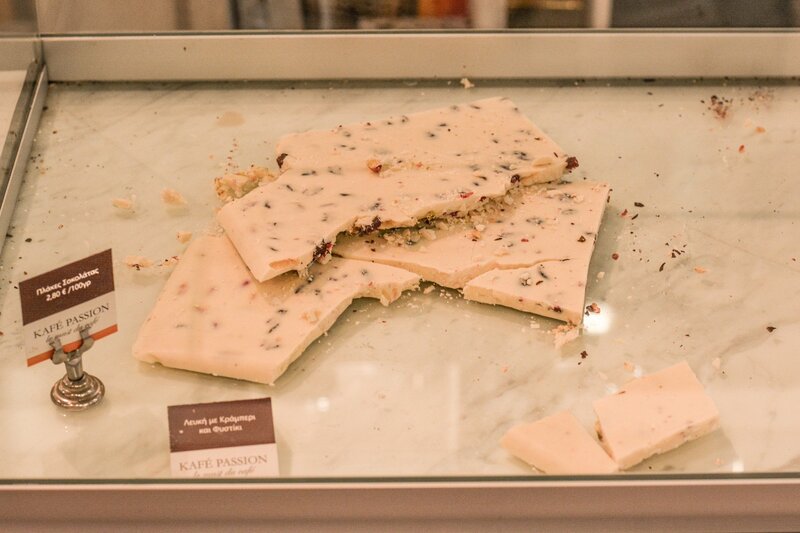 To this day, Kafé Passion embodies Kyfonidis’ original core values: impeccable quality, elegance and class. 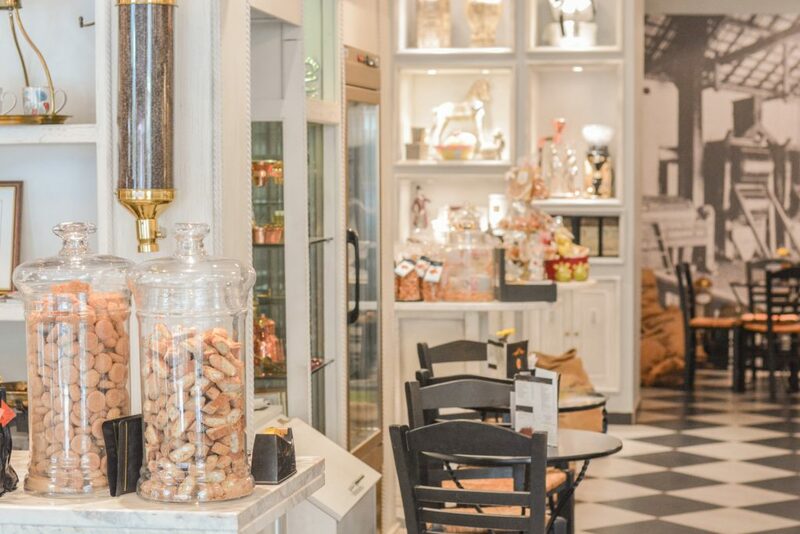 Walk inside Kafé Passion and let the coffee aromas and sophisticated and chic décor transport you back to a Parisian-styled coffee shop. 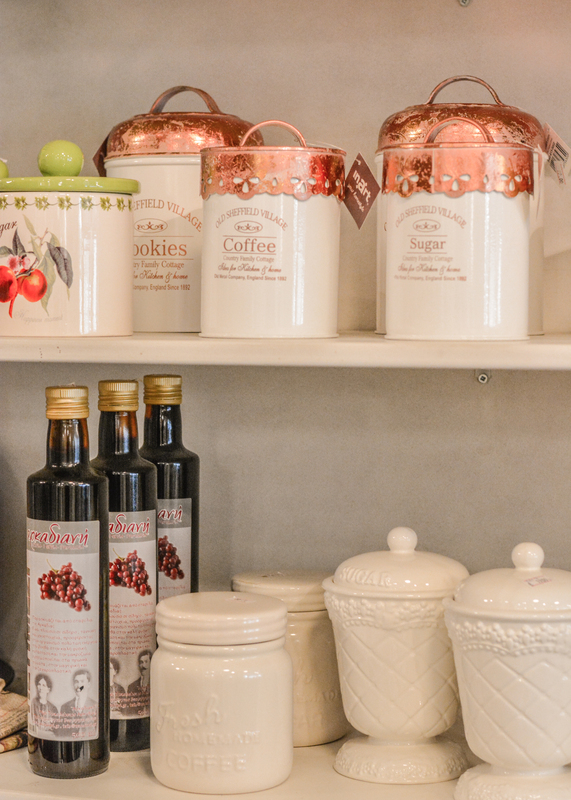 Feel free to look around the shop carries a wide range of products such as coffee canisters, hourglass carafes, and of course freshly made biscuits and chocolates to accompany any type of coffee. 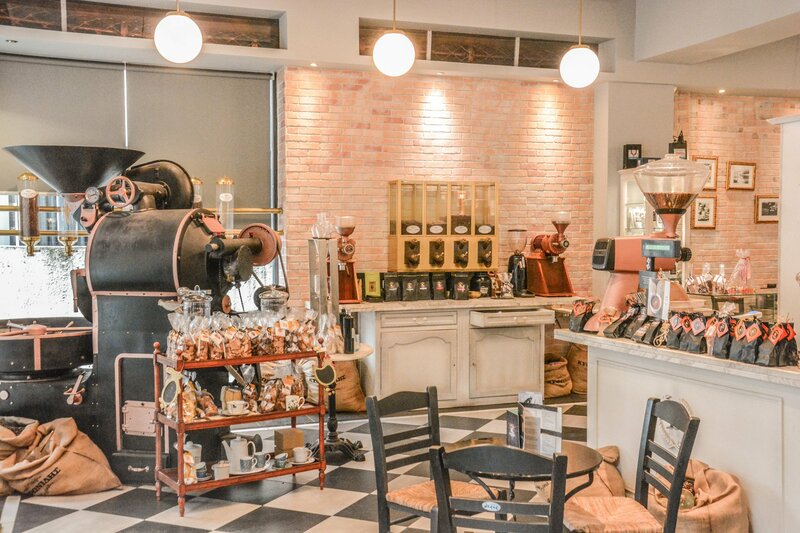 Their long list of premium-quality coffee, including but not limited to Greek coffee, espresso, filtered coffee and instant coffee, will surpass even the pickiest of coffee-lovers out there. Their freshly grounded coffee accompanied by notably friendly staff will make your visit to Kafé Passion not just another coffee outing. 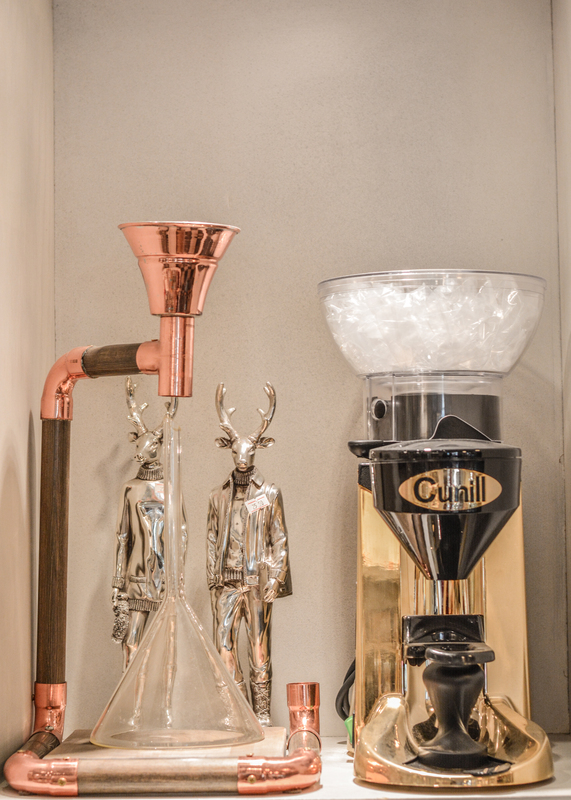 Indeed, ask any of the staff how their coffee is prepared and they’ll gladly give you a mini lesson on the intricate and attentive process their coffee undertakes to go from fresh coffee beans to flavorful coffee beverages. 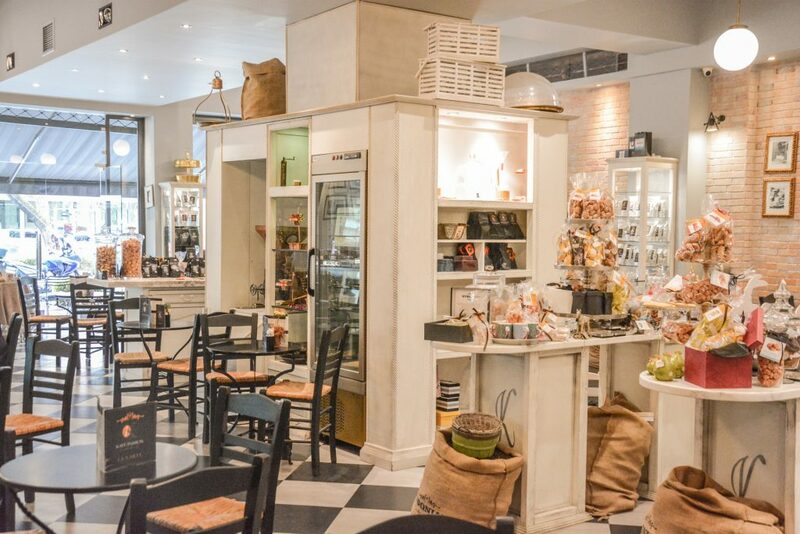 The bright and clean atmosphere at Kafé Passion is a refreshing addition to include in your everyday much-craved coffee break. Do yourself a favor by browsing around the store for a “treat hunt”, as it is probably one of the few stores in town offering the whole package. 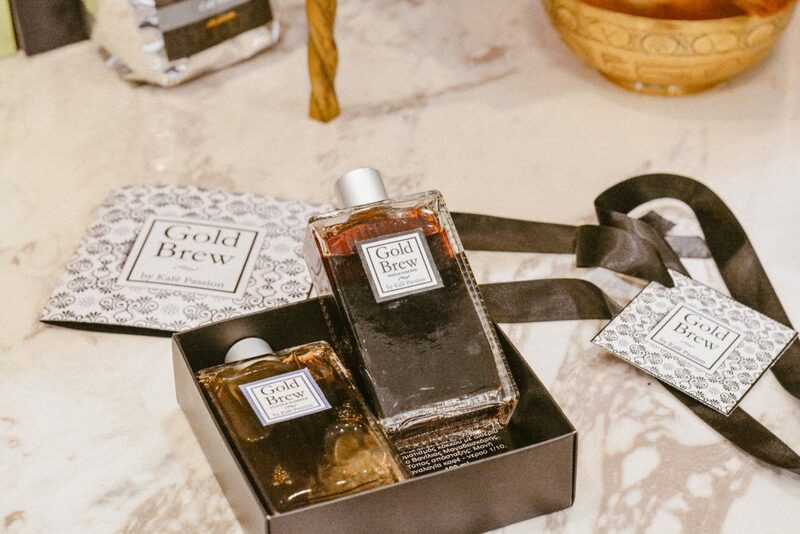 A personal favorite is their carefully packaged Gold Brew gift set consisting of two perfume-like glasses containing home made cold brew coffee. 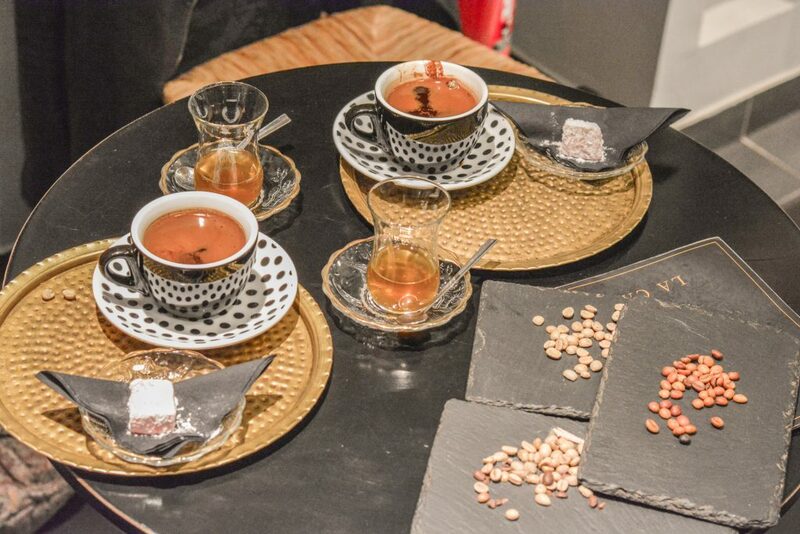 Bring friends and family to either of two Kafé Passion coffee shops found in Thessaloniki to satisfy the utmost of your standards. Be sure to check out more hidden gems of Thessaloniki here!